Last week in Beauty & Beyond, I tipped you off to a few fall nail trends. But as an on-the-go, always-learning fashionista, I&apos;? ?m happy to provide a quick update. I was introduced to an amazing polish this past week at a booth at Boston&apos;? ?s Fashion Week&apos;? ?Nails Inc.&apos;? ?s Magnetic Polish. Its first week on the market, this revolutionary magnetic nail lacquer creates the most stunning 3D nail art designs in chic metallic shades. The trick is that it has actual iron filaments in it. These metallic particles create a pattern on the nail using magnetic forces once you run the included magnet over the nail. Sounds like an awesome kid&apos;s science project, doesn&apos;t it? Paint on your choice of two colors (named after iconic London attractions: Trafalgar Square chrome and Houses of Parliament purple), then hold the magnet (it&apos;? ?s in the bottle&apos;? ?s cap) a few millimeters over the nail. The iron powder in the formulation gravitates toward the magnet, forming the pattern secretly hidden in the magnet for an astonishing finish. It&apos;? ?s like a cat eye on your nail, fitting purr-fectly into fall&apos;s metallic trend. Nails Inc.&apos;? 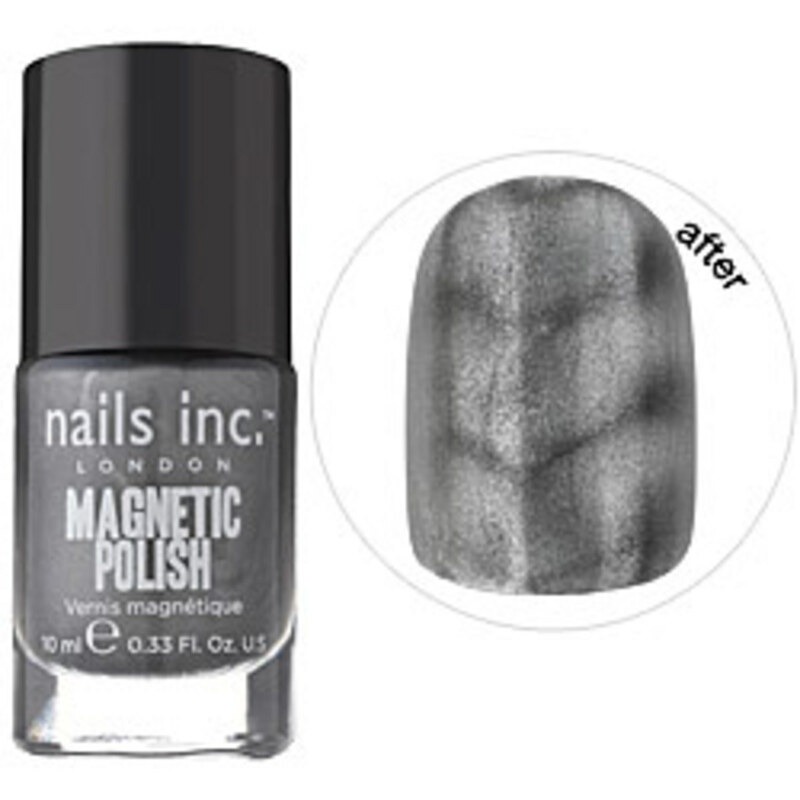 ?s Magnetic Polish is only available at Sephora stores or at Sephora.com for $16. I raise my right brow when I&apos;? ?m curious, adamant, mad, confused, sarcastic, tough. Needless to say, it&apos;? ?s usually up. In fact, should there ever be a Botox placement on my face, it will be the nice little crease next to my right brow caused by this constant work out. My emotions are the perfect personal trainer. Up, down, up, down. The new illuminating Power Brow Lift Pencil by It Cosmetics sounded like something right up my alley...or should I say, up my eyebrow...so I gave it a shot. We&apos;ve all heard the trick you do with light colored eye shadow (if you haven&apos;t, gather &apos;round, my lovelies). Just dot a bit in the corner of your eye and your eyes come alive. This thick pencil works on that concept. Apply it to the areas you want to look more lifted, then lightly blend in with fingers. It has two sides. I like the matte side for tracing the length of my brow both above and below for a nice wide-eyed appearance. I wake up tired eyes with the pearlized side by lining the inner and outer corners. Just be sure to blend, or you&apos;ll look a tad like a school art project. It boasts hydrolyzed collagen and Vitamins A, C and E, so your skin&apos;s inside gets a lift right along with its outer appearance. It also has micronized pigments to create light on the face, not glitter or shimmer. Use those two things and you&apos;? ?ll look like a shiny clown. Garnering my raised eyebrow. 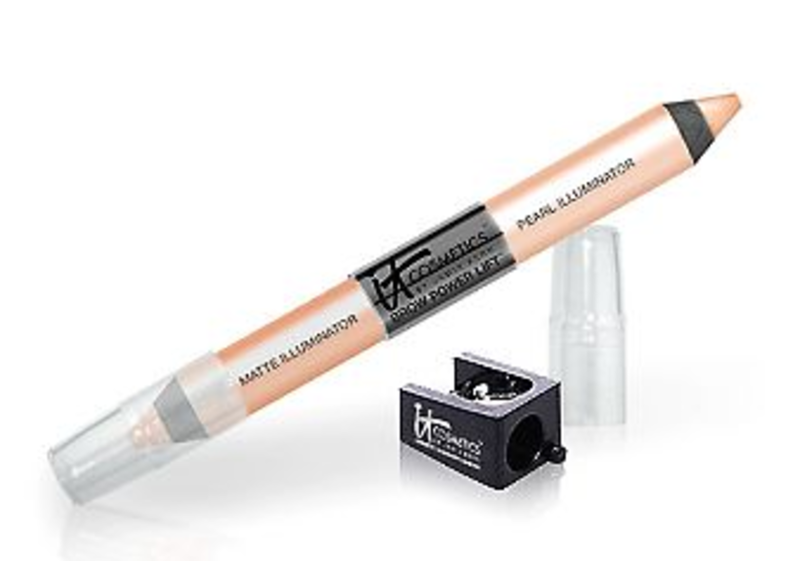 The Power Brow Lift Pencil by by It Cosmetics is available on qvc.com for $24. My daughter snagged the cutest I Love New York T-shirt that last time we were in NYC. Hot pink with bright white letters and of course that big iconic red heart. She wears it a ton, although I try to dissuade her during any Red Sox game days. You would do the same. I LOVE NEW YORK for Her is pretty in pink&apos;? ?a pastry gourmand of rich vanilla frosting with opening notes of mandarin zest and a blueberry muffin that segues into roses, pink peonies, and patchouli. Then it deepens elegantly into musk, vanilla bourbon, and soft leather. I LOVE NEW YORK for Him in the blue bottle appeals to the active man, with grapefruit zest, juniper berry, and ginger. There&apos;? ?s a smoky and sensual finish of sandalwood, musk, and amber. In a black bottle, I LOVE NEW YORK for All is smooth yet awakening. At the heart of this gourmand: coffee beans, cacao, and chestnut. Initially it energizes with bergamot, lily of the valley, and pepper, then the mellowness lingers with base notes of patchouli, sandalwood, and vanilla. I think this might be the only way I&apos;? ?ll ever actually get to be a Bond girl, so I think I smell a great opportunity. I LOVE NEW YORK eau de parfum is available for $105-$175 at Bond No. 9 boutiques, Saks Fifth Avenue and select Nordstrom stores.